AES Ground, Near Sandesh Press, Bodakdev, Ahmedabad, Gujarat- 380054. SATTVIK the festival to celebrate traditional nutritious food and associated knowledge systems was started fourteen years ago at the IIM-A, to provide market based incentives for conserving agro-biodiversity. Creation of demand for rarely or less cultivated nutritionally rich crops and varieties may stimulate their cultivation. The paradox of development is that the food rich eat, is often poor. While food that poor grow in poorer regions is richer. In less rainfall regions, soil minerals dont leach much and thus crops grown there like millets, sorghum pulses, etc., are richer. This festival aspires to put the lesser known but nutrient-rich food from various states on the plate of urban communities helping them to adopt healthier food habits and lifestyle. The festival also hopes to encourage the farmers to grow such crops and augment their incomes. Thus, we seek your presence and participation in the event. 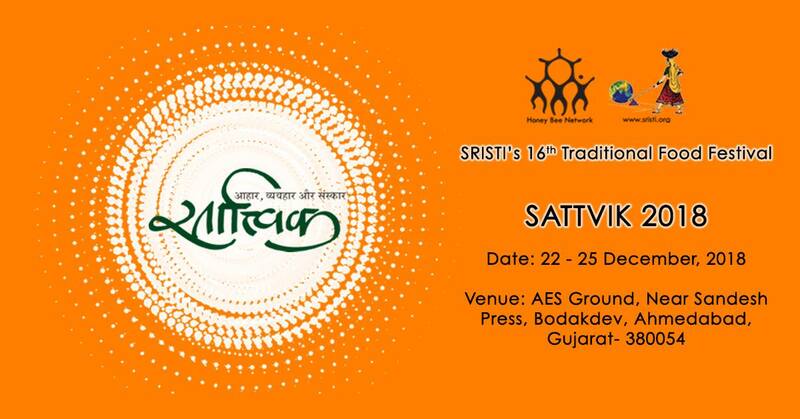 Sattvik also hosts an innovation exhibition by National Innovation Foundation and Gujarat Grassroots Innovation Augmentation Network.